Although it flies against all the conventions for women of the time, they're determined to make their own way in the world. But once they arrive in the Caribbean, proper gender roles are the least of their concerns. On the infamous island of Nevis, the sisters discover the legacy of the legendary sugar barons has vastly declined-and that's just the start of what their eyes are opened to in this unfamiliar world.Keturah never intends to put herself at the mercy of a man again, but every man on the island seems to be trying to win her hand and, with it, the ownership of her plantation. 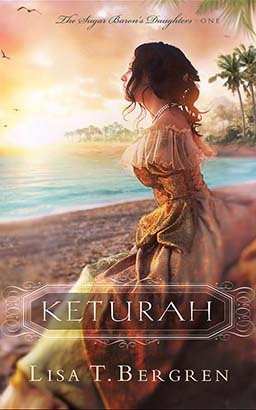 She could desperately use an ally, but even an unexpected reunion with a childhood friend leaves her questioning his motives.Set on keeping her family together and saving her father's plantation, can Keturah ever surrender her stubbornness and guarded heart to God and find the healing and love awaiting her?